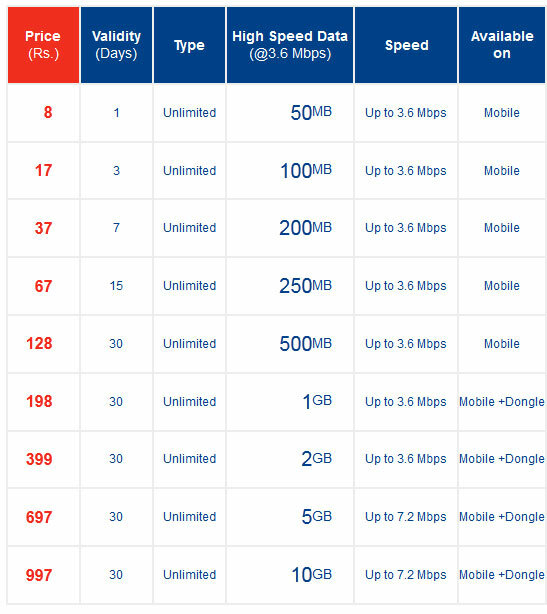 Finally Aircel launched Cheap Unlimited 3G Plans Starting at Rs 8 in India. One of the primary reasons why 3G has not really taken off in India even after close to Two years is due to high prices. 3G prices are atleast 5 times more than normal 2g connections. From Indian Telecom Operator’s point of view, it is very difficult for them to bring down prices due to the huge amount spent in buying the spectrum and creating the infrastructure. Aircel though seems to have taken first step in making 3G affordable for the masses. The have launched “Aircel Pocket Internet Smart” 3g plans, which are quite affordable. Three years back, Aircel had launched their pocket internet data plans which truly changed the way mobile internet was perceived and consumed. In case you are using Aircel there’s a good news and for those who are not using it there’s a reason for you to start using it! Aircel 3G Data plans are affordable now! Starting from Rs 8 you get a wide variety of plans to choose from. 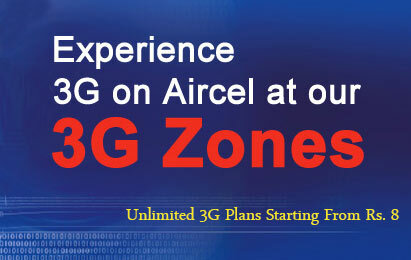 Continue reading to find out the complete listing of unlimited 3G plans from Aircel at a speed upto 3.6 or 7.2 MBPS! Unlimited 3G plans, as affordable as 2G, starting from just Rs. 8/day. No extra charges. No hidden costs. Freedom from any bill shocks. Unlimited data on both 3G and 2G with a single pack. No extra cost or packs needed for 2G. The 3G plans are unlimited, however, there is a Fair Usage Policy, after which the speed comes down to 128 kbps. The good part though is FUP is quite generous for any mobile user and price is affordable. So guys, Now no more worries for post usage bills! After the specified usage of data at 3G speed the remaining usage of data will be available at a speed of 128 KBPS. Plans starting from Rs 198 are valid for Mobiles and Dongles both. No extra charges. No hidden costs.I will surely buy Aircel Sim tomorrow and will start using 3G, what about you ? ?